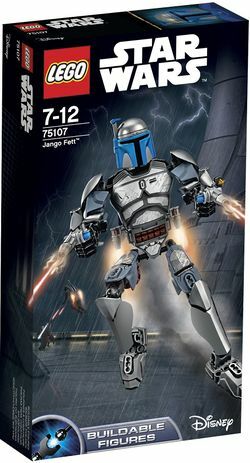 75107 Jango Fett is a Star Wars Ultrabuild set released in 2015, depicting Jango Fett. Battle the Jedi with Jango Fett™ as you’ve never seen him before! 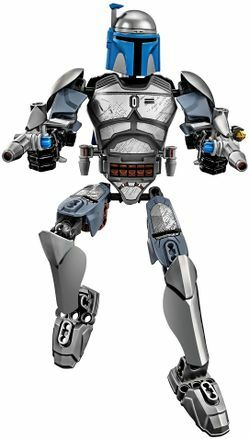 This amazing buildable LEGO® version of the galaxy’s greatest bounty hunter is built for intense play and has lots of great details, including fully posable limbs, a jetpack with flick missile shooting function, 2 buildable blaster pistols, holsters and detailed, metal-look armour. It’s time to arm up and go hunt some Jedi! Facts about "75107 Jango Fett"